Serving the Twin Cities Metro Area! Book your way, ride your way, pay your way with T-Plus. One of the largest consequences of the federal government shutdown is the effect it has on travel plans. While many people may not notice many changes from the shutdown in their daily life, those looking to travel by plane certainly will. With fewer TSA agents on duty during the government shutdown, airports often become significantly busier with longer security wait times. Ensure your travel plans go smoothly by planning ahead with trusted transportation to and from the airport. Learn why T-Plus is your best option for fast and convenient airport travel during the government shutdown. Calling for a cab when you’re ready to leave for the airport is a thing of the past. Particularly during busy travel times, scheduling your ride to MSP ahead of time allows you to better plan out your travel schedule and allot yourself extra time. T-Plus makes it easy to schedule your ride in advance through our online booking system, our iHail app, or through a simple text or call. Book your ride at the same time you book your flight. You’ll find peace of mind knowing exactly when you’ll be picked up on your travel day — and how much it will cost. When travel times get busy, many ride-sharing companies increase prices to meet this demand. 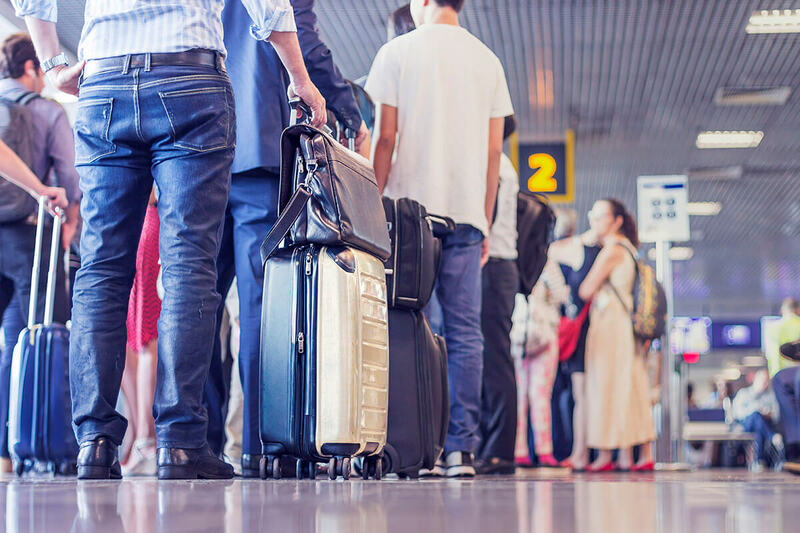 The increase of prices can happen suddenly, and it's easy to find yourself with no choice but to pay the higher rate if you want to arrive at the airport on time. With T-Plus, you can trust our pricing to remain consistent. Even as travel to and from the airport becomes busier, you’ll pay the same affordable rate. Don’t worry about scheduling your travel around peak times any longer — or about not knowing your rate ahead of time. T-Plus makes it easy to see what your fare will be ahead of time so you know you’re getting the best deal for convenient transportation. Our drivers are full-time professionals who receive specialized training to make your ride even easier. Trained in local landmarks, common routes, and the Twin Cities area, T-Plus drivers always know the best route to get you to your destination and are skilled in navigating busy Twin Cities traffic. This means you can expect faster rides, leaving you plenty of time at the airport to wait in longer security lines. During busy travel times, having a professional driver can make all the difference and help to mitigate travel worries. Airport travel can be hectic and complicated with a full TSA staff. The reduced number of TSA employees during the government shutdown can make travel even more difficult than usual. Simplify your travel plans by scheduling a convenient, affordable ride ahead of time with T-Plus. Our professional drivers will help make your travel experience easier and give you peace of mind. Book your ride now on our website, through our iHail app, or by call or text. The fastest way to catch a ride.